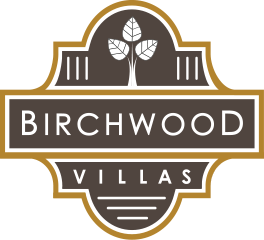 Find out why Birchwood Villas is the right choice for you! Birchwood Villas are Johnson County's newest rental communities located in the heart of Overland Park and Lenexa, Kansas. These unique boutique sized communities are what you have been waiting for! Our premier locations are minutes away from memorable dinning,entertainment, parks, excellent schools & unique shopping. Our extraordinary villas will provide exclusive intimate living to its residents. Providing 2 & 3-bedroom floorplans generously 1175 to 1650 sq. ft.! Birchwood Villas offers an exclusive living experience in the heart of Johnson County! Come tour the magnificence that our maintenance provided communities have to offer. Each villa features large open floor plan living space perfect for entertaining. The kitchens all have large center islands with natural quartzite countertop and GE slate grey appliances. Additional features include luxury wood vinyl plank flooring, short pile upgraded carpet in bedrooms, large first floor master suites with generous walk-in closets, master baths with walk-in tile shower and double vanity. Our villas also feature double pane low-E windows, 2 inch wood blinds throughout, large closets for additional storage, full size laundry off the kitchen, private outdoor patios, attached step free/entry level 1 car garages & access to local walking trails and parks. Be sure to schedule your personal tour & decide for yourself, that Birchwood Villas is the luxury living you have been missing! Birchwood of Lenexa, 9825 Montclair Dr.